A most tedious meeting at the ambulance tonight. E.B. goes to Bde as DADMS (Deputy Assistant Director of Medical Services). Krabinsky comes in as 2IC (second in command) with majority. I take all the minor jobs but am recommended for my majority. Received complete orders – then five minutes later are cancelled. Sangro River bridge, November, 1943. Nov. 25 – Five months ago today we sailed from Scotland. One month from today is Xmas. Fine today and mud is drying somewhat. Nothing new, still running Regiment and Section. Picture show in Mess tonight – “The Sea Hawk”. Nov. 26 – Had lunch with McIndoo at “B” Squadron today. In he morning I am speaking to and inoculating “B and C” Squadrons against Typhus. The weather is ideal today and the ground is drying up fast. Rather cold tonight. Some letters from home but I don’t where the parcels have gone. Letters are the main things though. One German plane shot down here today. 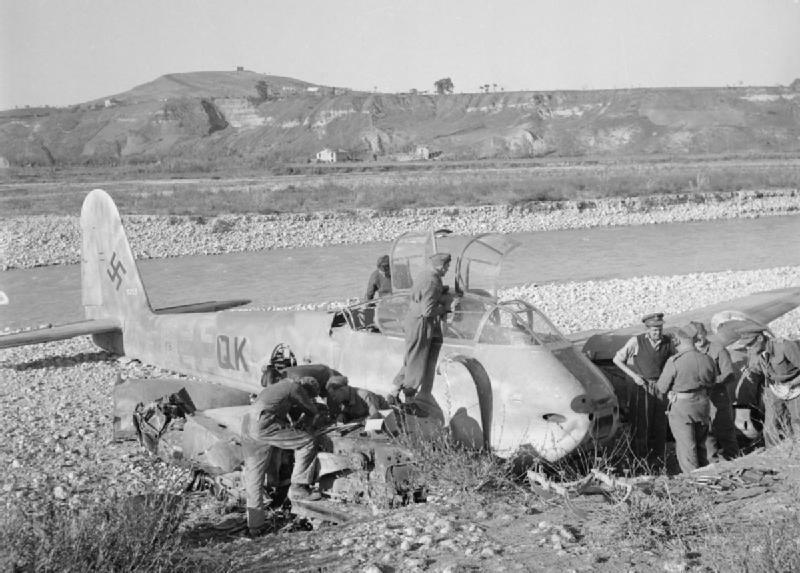 Men of the RAF Regiment assist an RAF intelligence officer to salvage important parts from a Messerschmitt Me 410 photographic reconnaissance aircraft, shot down on the banks of the Sangro River, Italy. Nov. 27 – One year ago today we moved from Seaford to Worthing. It is not the same Unit as it was then. Inoculated “B and C” Squadrons today against Typhus. Nov. 28 – Still inoculating. Talked to Harry Williamson from Bde (Brigade headquarters) – he informs me that we will probably be starting for England in one week’s time, as the exchange personnel are in Africa and they at Bde have received information that they will be sent to Italy as soon as possible. Was also informed today that the recommendation for my majority had gone in – but I don’t get it. Bde medical meeting tomorrow afternoon at the ambulance. There may be some definite word then. Word from the front is that the bridges which were built over the Sangro River are themselves under water and cannot be approached due to German shell fire. The general plan, apparently is being changed. Meanwhile, we wait in the olive grove. 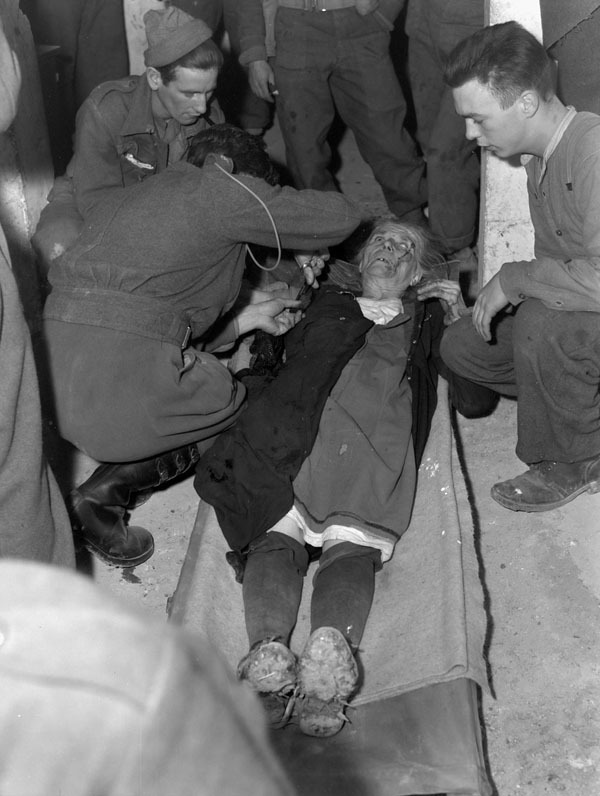 Nov. 18 – Arrived at Termoli at 9:00 a.m. – harboured under canvas in an olive grove. It is a beautiful day today – much warmer than in the mountains. We are surrounded by armour – Indian, English, and New Zealanders. We don’t know what is coming. Nov. 19 – Busy today reorganizing the section for the coming battle. Went twelve miles up the coast to the Fld. Amb. today. Could not get much definite information but everywhere there is traffic such as I have never seen before. One steady line of trucks going up and a steady line coming down empty. Guns galore and on the shore of the Adriatic are hundreds of amphibian trucks (Ducks). The hills are not nearly so high here, but the roads are just as winding. Tonight sitting in my tent, which is on the side of the road, I can hear a steady stream of trucks going in both directions. Hundreds of Italians are working on the roads and bridges. Some German Tanks and some Three Rivers Tanks blown out, are still sitting in our grove. 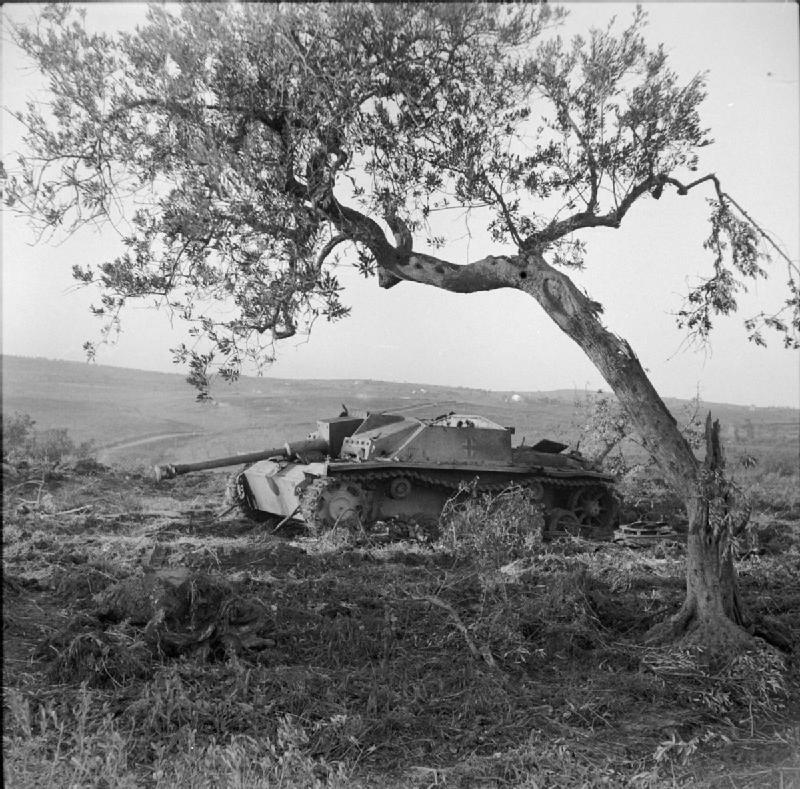 The Sangro River November 1943: A German Mk III Special tank knocked out near San Salvo during the advance to the Sangro. Nov. 20 – Was into Termoli at the 19 British C.C.S. today. Wonderful bunch of chaps there. Terrible rain storm this a.m. Our tents flooded and all the country soaked in mud. Orders group this afternoon. We are standing to move forward at one hour’s notice after daylight tomorrow. 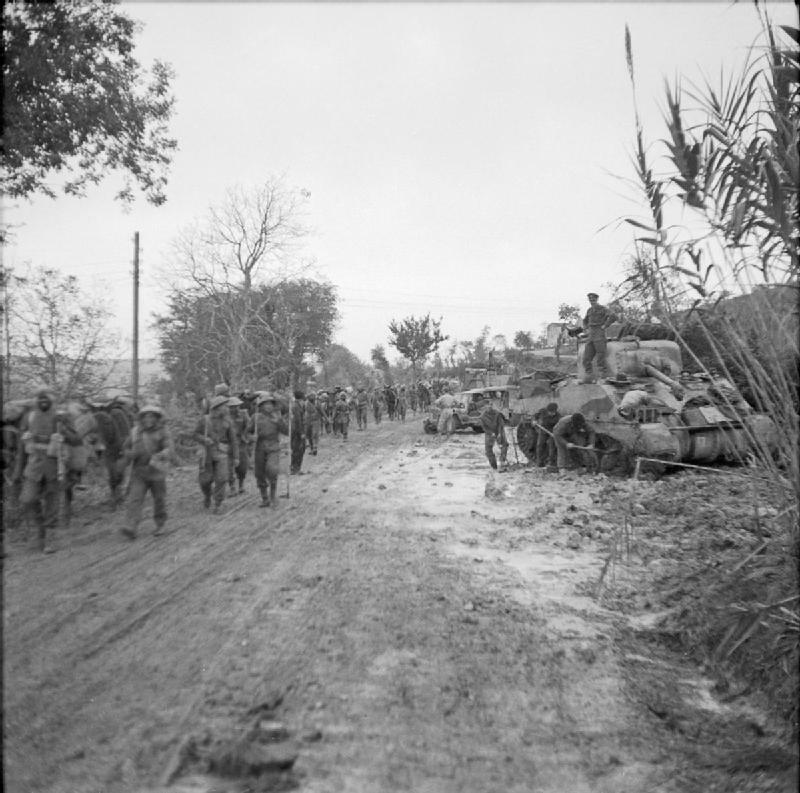 Will proceed about two or three miles north of Vasto, near Casalbordino to an assembly point for an attack over the River Sangro in the general forward advance of the 78th Division on Pescara and the lateral road leading to Rome. It is very doubtful if either ourselves or the 4th Armoured Brigade can cross the River. If this weather continues we will all be bogged down – but the attack will proceed without armour. Rome will be the next big objective. The current rumour is that German will collapse between Xmas and New Years. I certainly hope it is true. 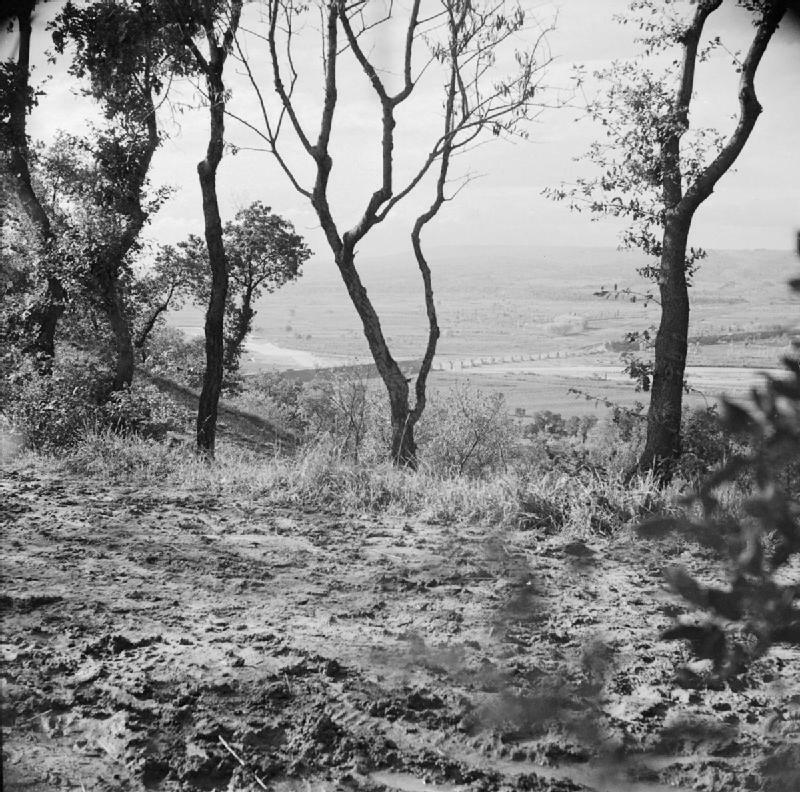 The Sangro River November 1943: View from a British observation point across the Sangro River towards the German positions on the north bank. 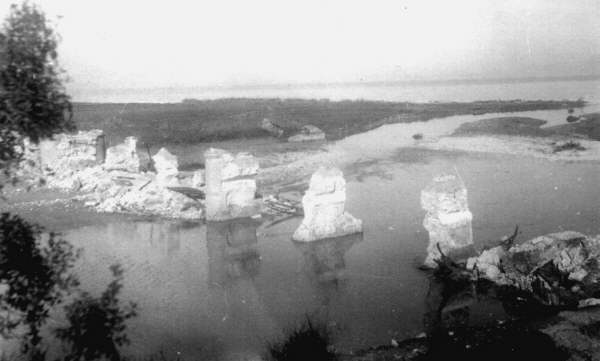 The remains of a bridge across the river, destroyed by the Germans, can be seen. Nov. 22 – All day yesterday it poured and rained and the ground became muddier and muddier. The general attack was cancelled for 48 hours due to the weather. The 78th Div have established a bridge head over the Sangro River. The 8th Indian Div. on the left will attack tomorrow morning. If possible the 4th Armoured Div will cross the Sangro and through with the 78th. They will be relieved by the 1st Can. Tank Bde. ; but at present teh 4th Armoured cannot even reach the Sangro – are bogged down at a little river this side of it. 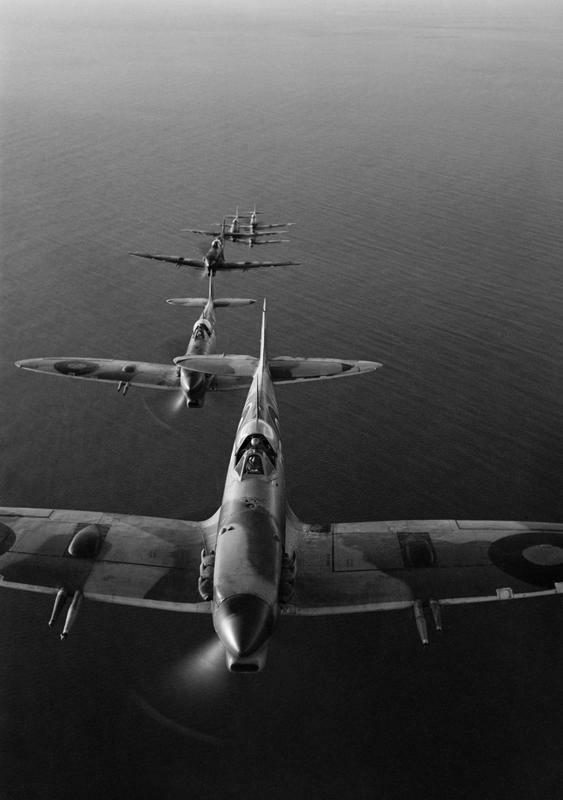 One squadron of the Calgary’s are bogged down this side of Vasto and we in turn cannot move until they move. If the weather remains clear for a few days, we may get going, but at present it looks very doubtful. The attack will go on either with or without us. There is a terrific concentration of guns and armour ahead of us – wonderful weather today – see if you luck holds. The Sangro River November 1943: A mule train carrying ammunition passes a bogged down Sherman tank en route in the forward positions in the Sangro area. Nov. 23 – Raining very hard this morning when we woke up, but cleared fairly well during the day. Col. Ralston was here and visited us. I had a short talk with him. Sent. Capt. Sedenburg to hospital, so do not know what I do now. I am acting R.M.O. (regimental medical officer) – but imagine the authorities will soon change that. Would kind of like to take on the Ontario’s for awhile, but probably will not be given the chance. Charcoal brazier burning in here tonight making my tent lovely and warm. 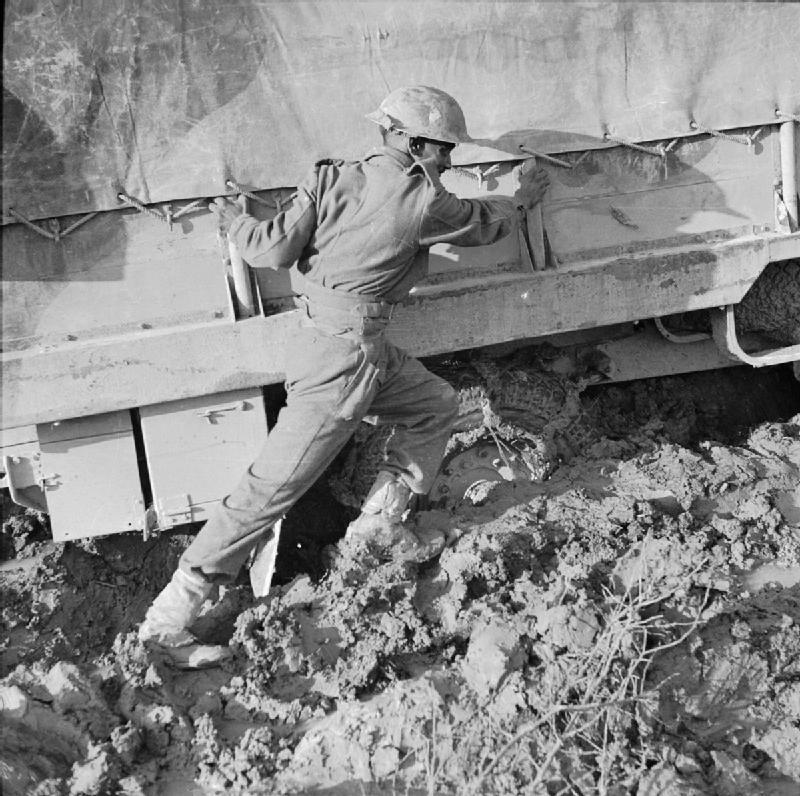 The Sangro River November 1943: An Indian soldier pushing his vehicle which is bogged down in deep mud in the Sangro area. Rained all night, and it is still raining this morning. Everything is a sea of mud. The hills are covered in snow. Very pretty to look at and very miserable to live in. The trucks are being hauled out by Tanks. The Tanks are loading on transports. At 6:30 p.m. the Tanks will leave. At 10:30 we will leave. It will be a long cold trip, but we should arrive in Termoli tomorrow, but how far beyond that our harbour is – we don’t know. It is supposed to be very muddy and wet there. We fall in with Jeep and one ambulance and one D.R. (dispatch rider) at 6:30 behind the tanks on transporters. They had great difficulty climbing the first hill, so that it was eleven thirty before we actually pulled out. The reset of the section and the RMO (regimental medical officer) were in the rear of soft vehicles. We travelled sixty five miles north east through Campobasso until we came to the Adriatic Coast at Termoli – we are now in harbour about 1 mile inland, the 14th (14th Canadian Army Tank Regiment) are about six miles. Went forward to Sapino again and held sick parade. Then called in at St. Gelliano and picked up a patient to bring to hospital. On reaching the main road, a red cap handed me a paper containing my orders to move my section at once to a spot between Vinchiaturo and Campobasso – and join the 11th Reg. – the Ontarios. Tonight we will proceed north west to the Adriatic Coast. I believe our dispersal area is at Termoli, directly opposite Rome. It will probably be a pretty rough trip. Left Jelsi at 2 p.m. and proceeded to Vinchiaturo then up the Campobasso road until about four miles from Campobasso, where we joined the Ontario’s. I had a very nice reception from the Officers. Many of whom I had known for a long time. Found two big rooms in a house and we bedded down. We were joined by our second ambulance and our Sgt. who had been away attending a court martial. Terribly wet and cold day. 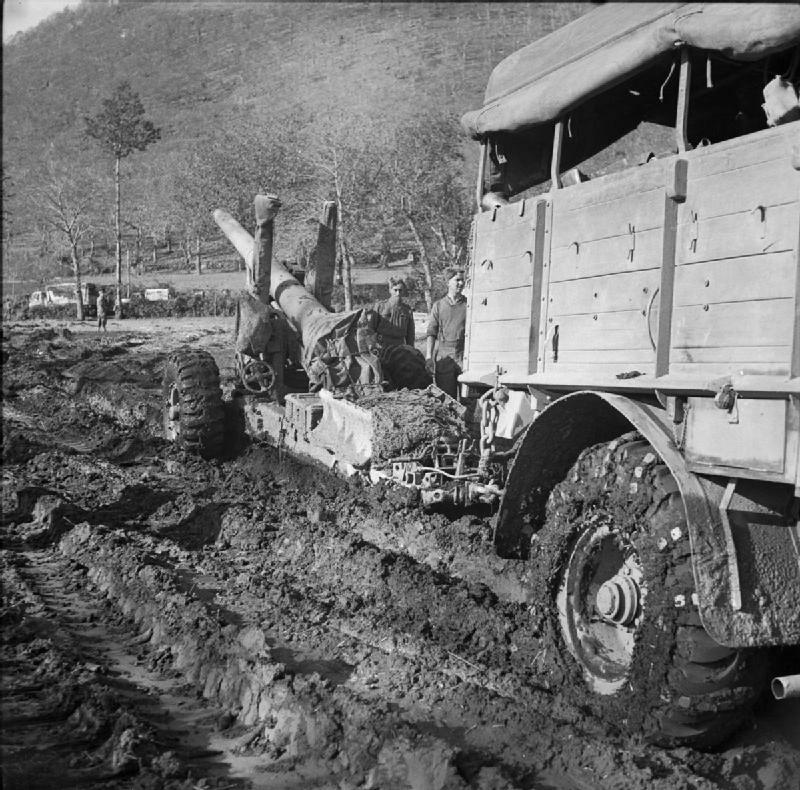 Monte Camino November – December 1943: Men of 99 Medium Battery, 74 Medium Regiment, Royal Artillery struggle to bring a 5.5 inch medium field gun into action through thick mud in the Camino area. Nov. 2: Nothing of much interest today. Was talking to Timmy Cameron for a while this morning. War news is apparently very good. Nov. 3 – Changing places with Capt. Sedenburg today. we are moving out on a dry spot for a few days then expect to set up an A.D.S. in Jelsi for a week or so then move forward again. Getting mighty tiresome here. See several Calgary boys every day. No further word of England but the rumour is that the 5th Can. Armoured Div. has landed in Sicily. I wonder what that means. Nov. 4 – Two months ago today we landed in Italy. I am not living in my Eyetie tent. It is very cold tonight. Ralph and I are having a boiled ham sandwhich and a cup of tea before going to bed. “B” Section is taking on detached duty in a few days. We hope to move into a house in about a week. Brigade Medical Officers meeting tonight. It looks as if all activity for the Army Tank Bac is over for the winter. I’m afraid there is a long monotonous time ahead. 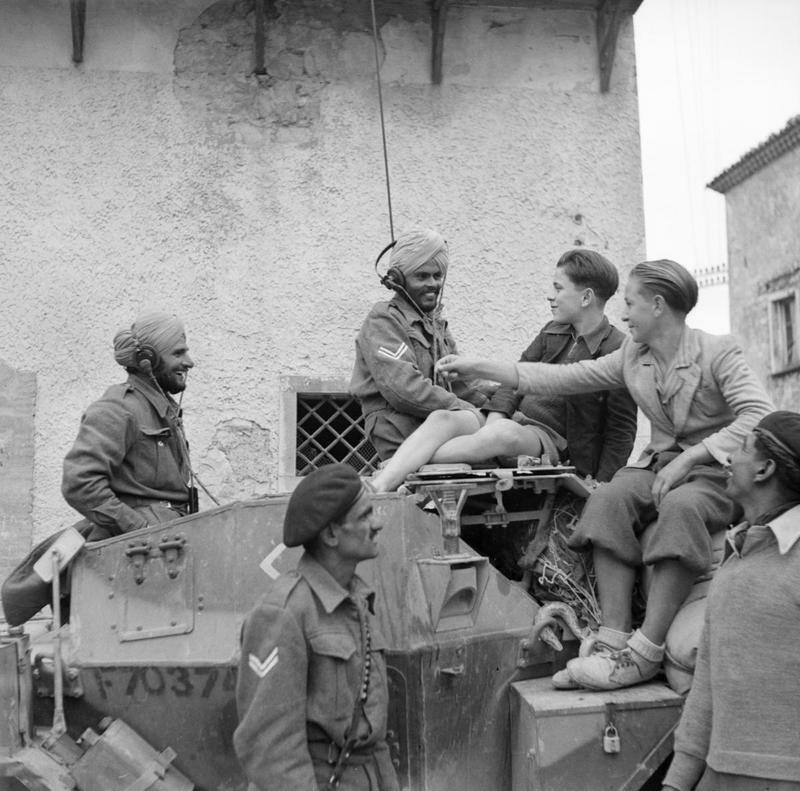 The English captured Isernia today, the Town where the Tank Brigade expects to spend the winter. Very cold tonight. Nov. 5 – A cold fall day – we lowered our tent and painted it, which will make it a little warmer. The Germans recaptured Isernia today. Nothing of importance. 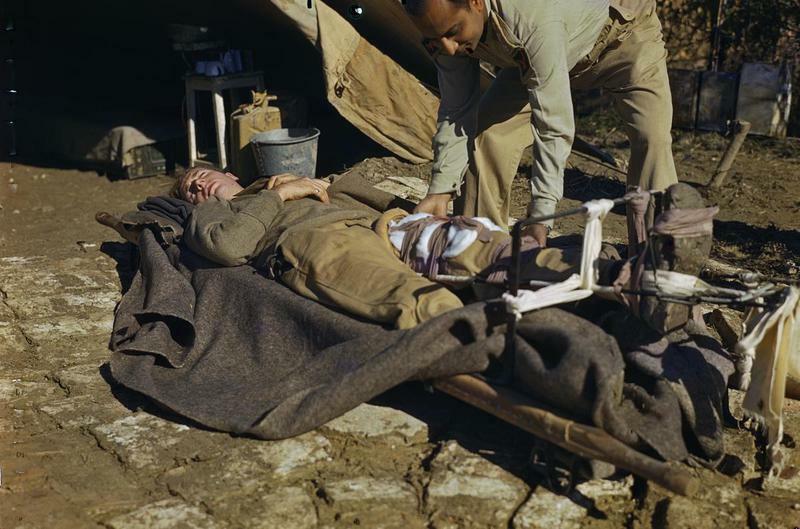 Nov. 6 – Notified at breakfast that the MDS (Medical Dressing Station0 was moving into billets in Riccia today and “B” Section was going on detached duty, either remain in camp or move into the Town if a suitable place could be found. We are on the second floor of an old stone house on a square – one beautiful big room set up as an M.I. room – and it really is a surgery that I wouldn’t be ashamed to own in civil life – all scrounged, but grand. One big room next to it is used by three boys to sleep in and we have a big table and benches there as a reading and writing room. A three room suite behind this accommodates the rest of the staff. I am living in the Priests study. A beautiful big room with a mirror, five feet wide and eight feet high on the wall. One of the room is glass book cases. His desk and chair are still here and they loaned me a chesterfield, so am not suffering much here. I was talking to the lady today and she saw the photo of Jill and Muriel. I thought she said she had two bambinos, and I asked her if that was she said. She answered that she was not a Senora but a Senorita and had no spouse. Golly I laughed. Very good people at this house and very friendly. Nov. 8 – Cold and wet today – had a visit from Parlkey and Cheetham (?) this a.m. Old Frank Boyaver this afternoon. Examined the Bdge signals today and had a chat with Jim Clarke, who gave me another battery. We now have electric lights in all our rooms. Jim Furman dropped in for a nice long visit today and Bert Rutledge sent me word that he would be down tomorrow. Am getting things all fixed up for my move to England and I dread it and I dread leaving, but can do nothing about it so will wait and see how it turns out. Nov. 9 – A good big sick parade today. Just at the end of Bert Rutledge dropped in and afterwards Parlky and Cheetham came. We had a little visit, then Bert spent the day with me. We went downtown and I took confession in Church annointed him, afterwards we did the Town. In the afternoon we went to brigade where I got his recommendation for a commission started. Had a short visit with Timmy Cameron also. A rather wet and miserable day. The Town the Brigade was going to for winter quarters is so badly knocked about that it is useless. Billets will have to be found elsewhere as men cannot possibly live out under this indefinitely. Nov. 10 – A big sick parade this morning. Laird and Lieut. Charoneau paid me a visit. This afternoon Lt. Hauser from Bdge Sigs was in, he came from England in the same boat with me and both he and Morrow will be going back with me. Lieut. Booth, transport officer from the 2nd was in this afternoon too and tonight a young British officer from the 8th Army dropped in and is staying the night. Yesterday we all went in to a native home a musical hour. The Father Superior of the Monastery visited us tonight. Conversation is difficult, but sign language works well. Nov. 11 – Jelsi, Italy. A cold but fairly bright day. All is excitement here today. The boys are busy decorating the big inner room, for our big dinner tonight. Ralph is making pies and pudding, and there is a big air of secrecy around. I am not allowed out of my room until we all go into dinner at 6 p.m. It reminds me of the day before Xmas at home. No peeking. Five big turkeys have just gone down the street to the ovens. Great day. We may have to move from here in a few days, as the Units are coming today to move into winter quarters. Nov. 12 – Our farewell supper was a grand success. S/sgt Mackie was present but Bert Rutledge had moved forward so could not get here. The room was beautifully decorated. The “puma” sat in the middle of the table surrounded by flowers. Each plate had a place card – a big light brown envelop, on which each name was printed. Inside the envelope was a postcard view of Jelsi, showing the monument. All signed on the back of the card. We had toasts, wine and brandy, and a few ounces of whiskey. Was given a little Italian chest which will hold many of my souvenirs. A Carbonieri came in and we had a grand evening. One which will long be remembered. This morning I got a couple of snaps, I was given some nice souvenirs. The Col. was here this morning. We will be moving to new quarters in four days. Our section will still stay out. We are very glad of this. We will be with brigade about thirty miles from main M.D.S. No further word of England. Nov. 13 – Going to M.D.S. Officers meeting tonight. Most of the Reg. M.O. were present and all the section men. All sorts of changes. I exchange Sgt. Hodgkins for Sgt. Mackie and Cpl. Cook for McKenzie. Everything is an awful dither. Told that Bde HQ, were to move on Thursday, but just saw them move this morning, so guess we will move up forward in a day or so. We expect to leave for England in a few days, but there is nothing definite yet. In the meantime my section will open up a little hospital forward. What tripe – will certainly be gland to get away as I loathe it. Nov. 14 –slim and I went forward to Vinchiaturo then south to Sepino on a recce for an A.D.S. – several complications. The brigade is scattered over the hill side, all men under canvas. I believe it is an experiment – how it will work out, I don’t know. Returned by way of St. Gelliano and recced a spot there also. The Calgarys are there when we returned to Jelsi – then Scottie and I in an ambulance, went back to MDS (Medical Dressing Station) in Riccia, to discuss plans with the Col.
Nov. 15 – Terrible night and terrible day today. I am just starting forward in a jeep to hold a sick parade in Sepino, Then further recce with the Col. On arrival at St. Gelliano we find all hustle and excitement. Nobody seems to know the full score but apparently we are moving to the Adriatic Shore. Just received notice that our replacements have landed in Italy, so I suppose we go shortly.